The Owners: Natasha Avery, an interior designer, lives here with her husband, Brett, managing director of a plant nursery, their two sons, Jacob, 13, Henry, 11, and Pippi the cockapoo. The property: A four-bedroom detached house built in the 1960s in Farnham, Kent. After spending 19 years in New Zealand, the Averys were used to bigger living spaces. When they came back to England, they knew they would struggle to match that. Having started an interior design business while living in New Zealand, Natasha was full of ideas about how she wanted her new home to look. They transformed the detached house by adding a full-width, two-storey extension to the back. This gave them extra bedroom and bathroom space upstairs, and also meant that Natasha could create a large open-plan living space perfect for family life. 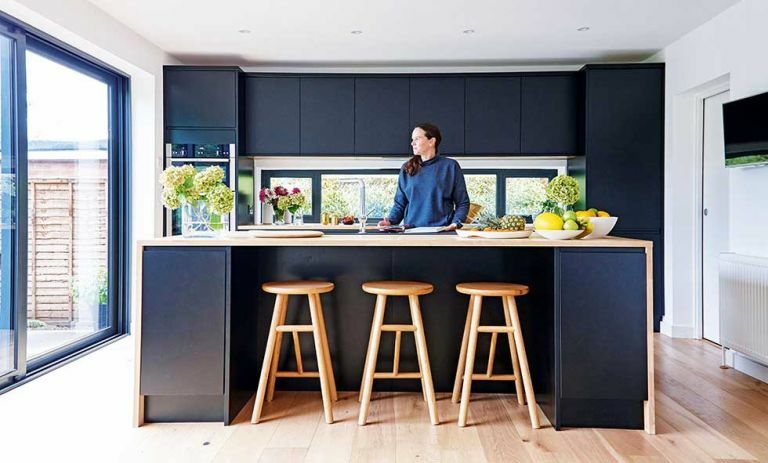 Find out what they did next, then browse more real home transformations and find out more about extending a house in our guide.